Every single Diamond in this collection has been individually hand picked for finest cut, beautiful color and excellent clarity. When viewed through a special scope, the top of a Hearts & Arrows Diamond will display arrows radiating outward from the center of the Diamond. Turn the Diamond over and a circle of hearts appears. 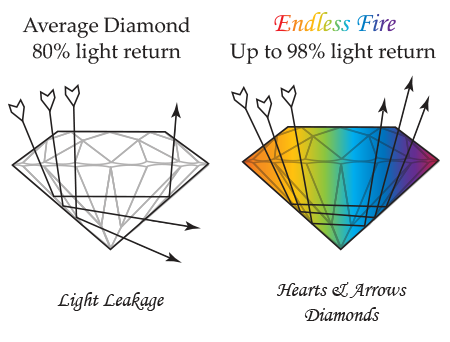 All Facets on the Diamond must be perfectly aligned to display the Hearts & Arrows effects. 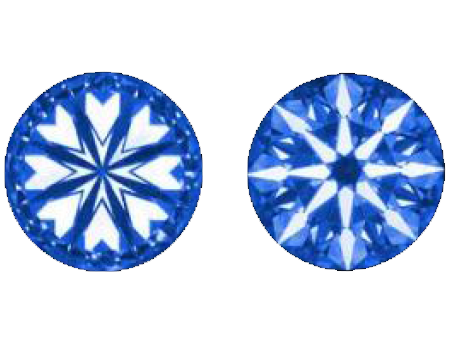 Even the slightest misalignment will have a dramatic negative effect on a Diamond. It has been my life’s dream to create a collection of fine Diamond jewelry that is the pinnacle of quality. These are truly the most beautiful Diamonds in the world. I’ve always said “If she’s going to wear that Diamond for the rest of her life, can the quality be too good?